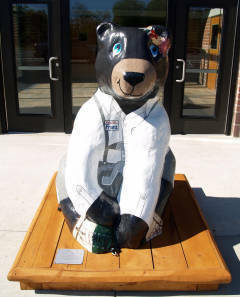 View the creative talents of local artists as you “hunt ” for these 4’ tall bears located throughout the city. Each bear has been purchased and decorated by a local business or group as a fundraiser for the Otsego Wildlife Legacy Society. Follow the Tracks of the Owlpine Bears!! When you’re in town stop by the Tourism Bureau’s Gaylord Information Center and pick up a map or click on the link below to print one!